In a greenhouse with the lush tropical plants, you can enjoy the elaborate displays of gorgeous flower 'orchid'. Whatever you take pictures in the greenhouse, they're all photogenic! What's more, I want you to enjoy the perfume-like sweet fragrances that are original for orchid.◎Held every February with various concept. In 2018, the concept is 'Orchid, Lovely Fragrance'. 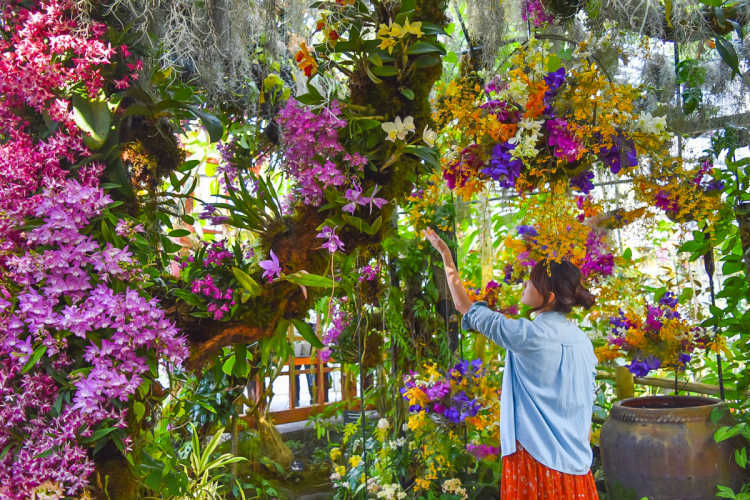 In winter with less flowers, you can see many flowers only by orchid exhibitions. If you want to take pictures, during morning and till 15:00 is ideal because the sunlight comes into the greenhouse. 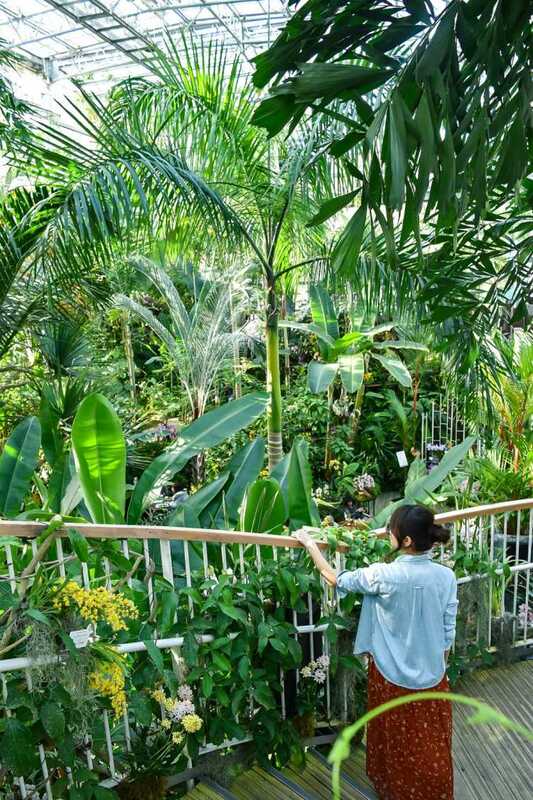 A greenhouse of Makino Botanical Garden opened in 2010. It's an enjoyable place throughout a year because it's warm of course in winter. You can enjoy walking in a jungle zone with a waterfall, a water garden with tropical fish swimming in the pond, and so on. It's like a jungle exploration!◎Please check out HP to get the limited exhibitions. These pics were taken at Orchid Exhibition in February.